Few themes around baseball have been as consistent the past two seasons as Daniel Murphy’s superhero act and the Mets’ injury woes. So it came as little surprise that on a day in which the Mets absorbed troubling news on four of their players, Murphy took no mercy with another standout performance against his former team. Murphy collected hits in each of his first three at-bats on Thursday, including a two-run triple, to pace the Nationals’ 8-3 thumping of the Mets at Citi Field. 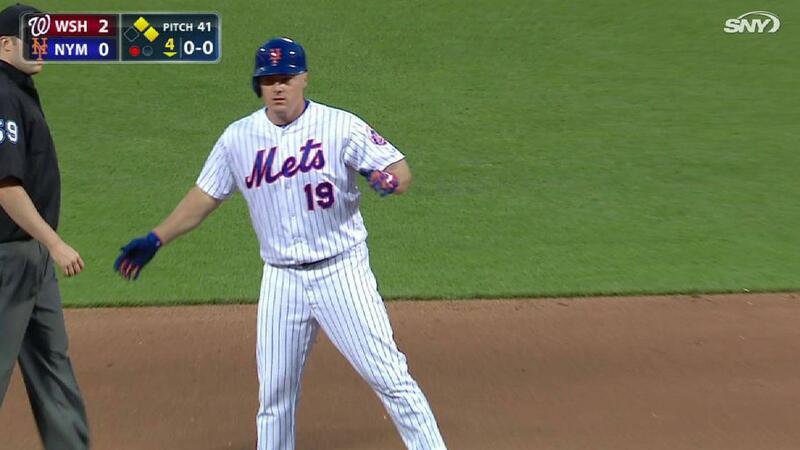 In 26 career games against his old team, Murphy has 28 RBIs.